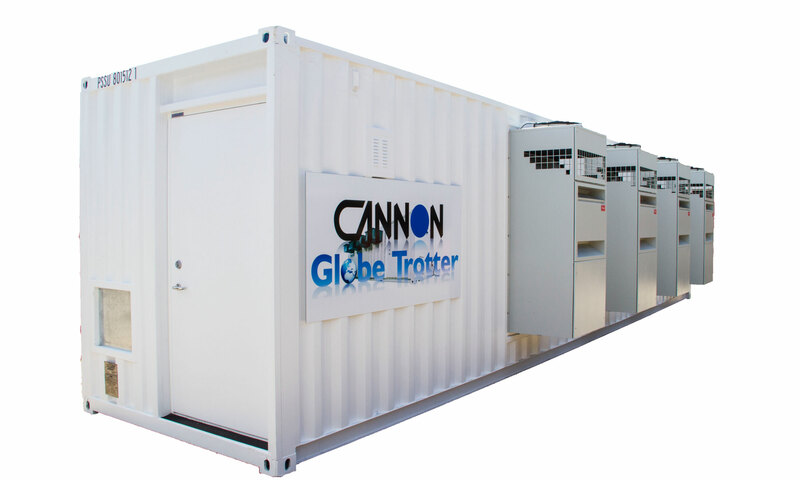 “Cannon GLOBE TROTTER” comprises the small capacity, transportable Modular Data Centre range which is complimentary to “Cannon Data Campus” multi-megawatt modular facilities. Cannon Technologies is a world-leading provider of large and small energy-efficient, modular data centre infrastructure solutions, professional services, and technical support. 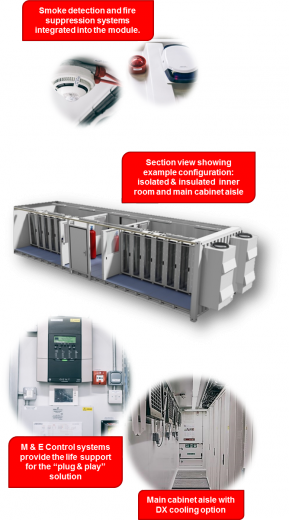 Our products have been designed, developed and widely used to reduce the high costs and risks associated with traditional data centre construction, recognizing the benefits of a fully end-to-end modular ‘building-block’ approach to data centre infrastructure. Cannon manufacture scalable, modular data centres for worldwide applications. These range from transportable small scale facilities to scalable, modular facilities housing hundreds of racks. Cannon’s success lies in its team of skilled professionals whose depth of experience is unmatched, technology that sets the standard for the industry, and an unwavering commitment to providing excellent support for its customers. Cannon provides GLOBE TROTTER with the scalability, flexibility, and reliability to enable rapid delivery of a more efficient small data centre solution to its customers. Cannon has extended the concept of modular data centres to include critical components that help provide a complete infrastructure solution for its customers. The company recognize the importance of delivering a true state-of-the-art data centre and enhance the modular design concept of their existing data centre solutions to provide an end-to-end offering. Cannon’s holistic DCIM provides remote command and control to improve uptime and drive efficiency with Cannon Globe Trotter facilities usually being designed for simple drop ­ “Plug and Play”. Network deployment that is 75% faster than traditional Data Centre builds Improved scalability and flexibility, Lower cost, Lower PUE Increased reliability and reduced downtime. Lease your new, Mission Live Data Centre – Avoid up front Capital Expenditure. Enjoy rapid availability, without financial pain. 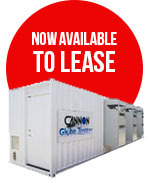 Start Small but Grow Big with Cannon Expandable Modular Facilities. Achieve high efficiency, low running costs and maintain Reliability. It’s so easy, you will wonder why you have not done it before!